Whose Responsibility is it to Get Releases of Lien(s)? – Daniel M. Copeland, Attorney at Law, P.A. In your contract/agreement with your contractor, you can stipulate that he/she is responsible and must provide all releases of lien. 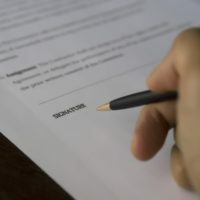 If it is not a part of your contract/agreement, you, as the owner, will have to act as your own contractor and YOU must get the releases from the contractors, laborers, materials suppliers, subcontractors and professionals such as architects, landscape architects, interior designers, engineers or land surveyors. The construction lien law is complex and cannot be covered completely in this blog. We highly recommend that whenever a specific issue arises, you consult an attorney.